Satvika Kumar, Learning Pathways Project Inc. 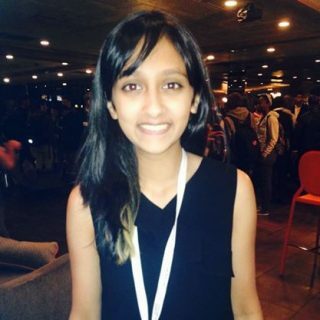 Founded in early 2013 by Satvika Kumar, Learning Pathways Project (LPP) is a nonprofit organization dedicated to empowering, educating and leading young girls in science and technology and reduce the gender gap in STEM education. WashingtonExec interviewed Kumar about LPP, the misconceptions girls have about STEM topics and her thoughts on what the public needs to do to change the STEM pipeline. WashingtonExec: Where did the idea for Learning Pathways Project Inc. come from? Satvika Kumar: Learning Pathways Project Inc. (LPP) began as the brainchild of an Educational Enhancement Through Technology Grant that I received from Thomas Jefferson High School for Science and Technology (TJHSST) in 2012. After creating my app Learning Pathways, I realized that an app that fosters long-term retention instead of rote memorization would not only benefit me, but also my classmates and many others who face this universal struggle when studying. When I presented the prototype at the technology training conference for overseas educators on June 24, 2013, along with Dr. Glazer, it was well received by technologists and educators from so many countries. LPP was developed further and evolved to incorporate more creative tools that would help students learn and actively engage in these STEM related areas. In 2014, LPP now educates and empowers young students using multiple modalities such as mobile applications, and interactive e-labs for learning. I think the public should always be aware that STEM isn’t a gender-specific field … Without a healthy gender balance, STEM fields would suffer. The challenge is that girls need to be equipped with the knowledge and skill sets that will help them succeed in STEM. WashingtonExec: What is the goal of Learning Pathways Project Inc., and how does it go about obtaining this goal? Satvika Kumar: LPP aims to empower, educate and lead young girls in science and technology and reduce the gender gap in STEM education. Our main approach is through innovative development of learning tools and programs. We have recently launched a creative outreach #firsthack, a hackathon with a difference. #firsthack is designed to inspire and guide young students in 5-7 grades in computer science and stem education. We are pairing our young thinkers with high school students and creating spaces where they can engage and build confidence in using technology. We will be posting the schedule for #firsthack at our site soon. Several elementary and middle schools are teaming with us to bring our outreach activities to their school. We invite high school students from area high schools with a technical background and a passion to mentor to contact us if they are interested in participating. WashingtonExec: How would you define success for Learning Pathways Project Inc.? 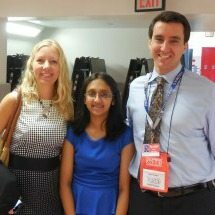 Satvika Kumar: One metric that LPP uses for success is the number of young girls we are able to reach and engage within the areas of computer science and STEM. Since we have multiple products and services, our outreach occurs in different ways. Overall in 2014, we have reached more than 500 students and we are really proud of that! We have a strong core team of dedicated high school students who, like me, have displayed a lasting passion for teaching and learning. WashingtonExec: What is one misconception you believe girls have about STEM topics? Satvika Kumar: I think one of the biggest misconceptions is that girls think STEM is hard. Topics like computer science, physics and engineering are notorious for being too difficult and many think that “only boys are good at it.” But that is not at all the case. These areas take practice and persistence just like anything else. Often the perceived difficulty is the biggest barrier to getting started and that is one of the roadblocks that we are working to break down. WashingtonExec: Do you have a mentor/someone who encouraged you to pursue this field? Satvika Kumar: Yes! One of my biggest supporters and mentors is Dr. Evan Glazer, Principal of TJHSST. He has personally guided me in this process since I began to tackle the JOSTI grant award, from design, to tool development to my presentation at the conference and beyond. Another key supporter is Dr. Barbara Wood, my biology teacher and research mentor for the past three years. The list goes on and there is never enough space to thank everyone who encourages me, but I sincerely appreciate all the support from those who have helped me and Learning Pathways move forward. I’m really grateful that I go to a school where science and technology is the focus of our learning and that we as students and as girls are pushed to do our best. My elementary and middle school years at the Nysmith School for the Gifted helped lay the foundation where technical skills and creativity were encouraged and emphasized. WashingtonExec: What does the public need to understand, know and/or do in order for STEM fields not to be so male-dominated? Satvika Kumar: I think the public should always be aware that STEM isn’t a gender-specific field. In that sense I mean that it doesn’t call upon specific traits that only exist in one gender or the other. Without a healthy gender balance, STEM fields would suffer. That being said, I think it is important to highlight that its not that STEM fields are too hard or too difficult for girls to thrive in. The challenge is that girls need to be equipped with the knowledge and skill sets that will help them succeed in STEM. This will need to take place both at home and in schools. Confidence, encouragement, support and persistence is key. Satvika Kumar: It has been an amazing journey starting from the JOSTI grant in 2012 and coming to where we are now, but we still have a long way to go. We are building a broad network and safe pace for young students, primarily girls, to build confidence in using technology, to learn computer science and STEM concepts, and to develop skills like programming and coding that will help them succeed in STEM fields. We have recently received the demo pitch prize from the Thiel Foundation at Las Vegas on Nov. 16 to help support our goals. We always welcome opportunities and ideas to improve our work. We encourage teaming, mentoring and partnerships. This is a grassroots movement, and I believe that together we can make a difference to make it a leveled playing field. To contact us, please email admin@learningpathwaysproject.org.